"Each night he goes to sleep so excited to attend camp the next morning. 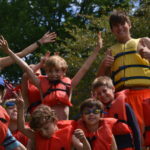 Camp has encouraged him to meet new friends, find the courage to try new activities and to feel confident in himself." 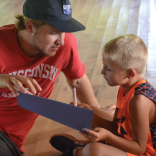 "Ben had such a great experience at Overnight Camp that he wants to return next year for a two-week session. Thanks to the counselors he felt included, welcomed and secure, yet also challenged. They encouraged him to be independent, foster new friendships, try new activities and eat different foods." 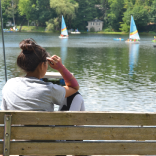 "After overnight camp, she told stories for the next two weeks after she came home. She's been singing the songs and loves being independent for that one week." "I saw the spirit of Minikani appear after only two days at camp. 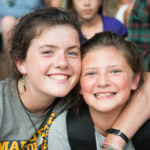 My shy and introverted daughter came home and announced, 'I'm spending the night at camp tomorrow!' I was shocked. I never thought she would consider the overnight. 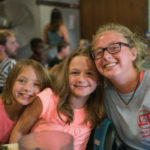 However, I feel the empathy and confidence shown to Quinn by her counselors encouraged her, in just two days, to try something outsider her comfort zone." 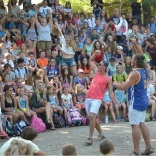 Between two natural lakes on 150 pristine acres, YMCA Camp Minikani is a place where campers canoe and swim; build fires and friendships; try archery and explore the arts. 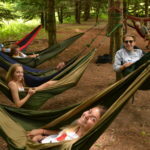 However, camp is much more than a series of activities or a plot of beautiful land. Minikani is a community that is dedicated to inspiring your child’s best self. ©1919 to 2019. All rights reserved. Camp Minikani.